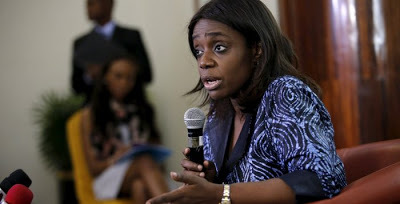 Kemi Adeosun, Minister of Finance made the claim while speaking on a programme on African Independent Television (AIT). Kemi Adeosun has said the Muhammadu Buhari-led recovers stolen funds daily. “I’m confident that very soon we’ll put out updated figures of course recovery changes day to day because on a daily basis, money is being recovered from various places but soon we’ll put out comprehensive figures on that. “We are out, we’re out to an extent and we hope that the figures will reflect the fact that we’re out. We shouldn’t focus too much on when, what we should focus on is growth. Getting out of recession is not enough, we have to grow and grow aggressively.